YES... 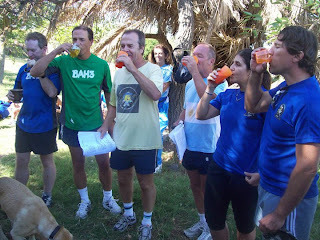 THIS WEEKEND, SATURDAY & SUNDAY MAY 19/20, THE 2ND HASH DEL RIO DE LA PLATA. 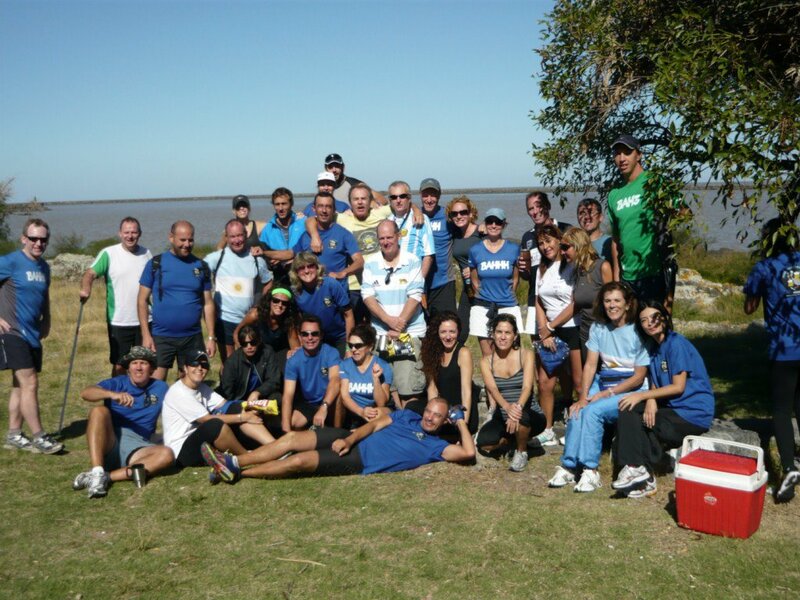 Last year, the stalwarts of the Buenos Aires Hash set sail for Colonia in Uruguay, to meet up with our fellow Hashers from the Uruguay HHH. We had a great weekend, with dining and fun on the Saturday. followed by a very entertaining Hash on the Sunday, which certainly visited the Rio de la Plata, culminating in the takeover of a restaurant for fun and frolics as the afternoon progressed. 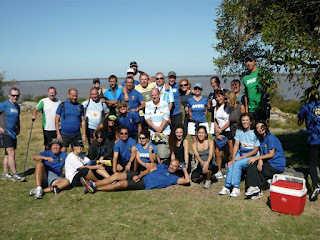 This weekend, we return the favour in hosting the Second Hash del Rio de la Plata, here in Buenos Aires. 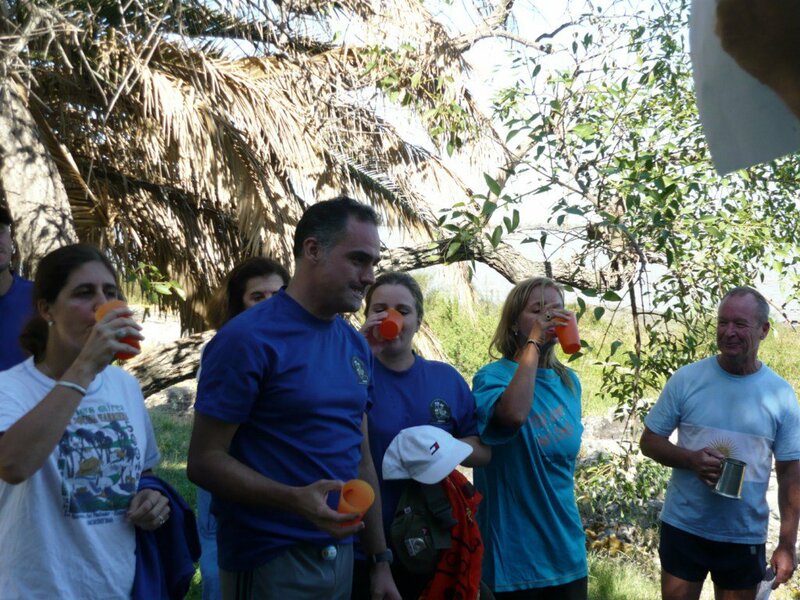 Our colleagues from Uruguay are crossing the Rio and arriving here on Saturday, so naturally we plan to ensure they have a great time. Roger The Cabin Boy and Red Hot Chilli have planned the weekend, along with Late CheckIn and La del Millon from Uruguay. This is an event not to miss, with the Sunday Hash bound to be spectacular, along with the On Afters in Breoghan's Bar on the Sunday. Saturday night sees dinner, and no doubt a lot of fun, at Desnivel Parilla in San Telmo, so clear the diary fior theweekend and let's make the whole weekend a success. 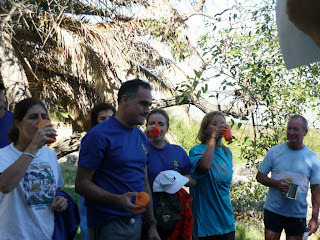 Gather for drinks and dinner, 8:00 for 8:30 at Desnivel Parilla, 855 Defensa, San Telmo. Please arrive on time as this restaurant fills up quickly. The fixed price menu is AR$80, with drinks extra. WHERE: Paseo Colon y Independencia, San Telmo, by the monument in the centre of the plazoleta. HASH FEE: AR$60 or URG$250... Note, this includes Hash Beer, and food and a drink at the On Afters in the Bar. ON AFTERS: After the run, we head back to Breoghan's Bar on Bolivar 860, for down downs, food, drinks, and even a few raucous songs. 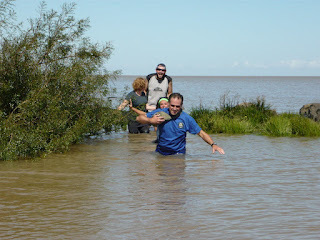 Photos are from the First Hash del Rio de la Plata, last year in Uruguay. Any queries contact Roger The Cabin Boy on 3625-8081 (English) or Red Hot Chilli on 4044-5978 (Spanish) or myself, Inspect Her Assets on 5809 4939. 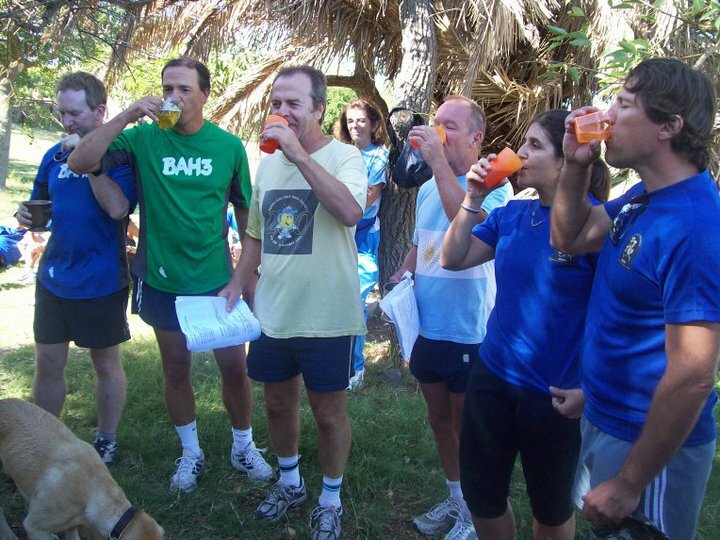 Next Hash #569 - QUILMES ADVENTURE! BAH3. Picture Window theme. Theme images by peepo. Powered by Blogger.